Kennet Opera would love to hear from you, whether you would like to talk to us about our previous productions, introduce yourself as a budding opera star, or join us for one of our summer concerts. Or equally if you're keen to help back-stage at a production (and wish you could step the last few feet into the lights), or would just like to roll your sleeves up and contribute to the huge amount of effort required to keep the company running. Join our mailing list so we can keep you up to date with our news, and let you know when we're performing. We promise not to share your details with any third parties. 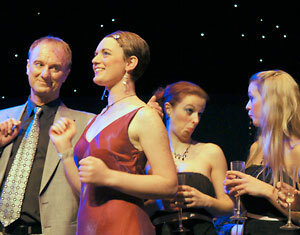 Contact Kennet Opera's secretary direct by email.